This is Michigan's second state-record fish of 2017. The previous state-record cisco (lake herring) was caught by Robert Rogers of Hartford, Wisconsin, in 1992 while trolling the East Arm of Grand Traverse Bay. That fish weighed 5.4 pounds and measured 25 inches. 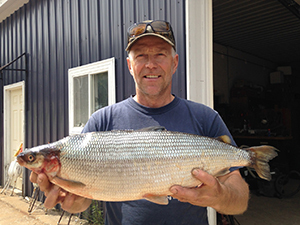 To view a current list of Michigan state-record fish, visit michigan.gov/staterecordfish.